I know because I was using calendula cream for our babies and diaper rashes and read the ingredients. 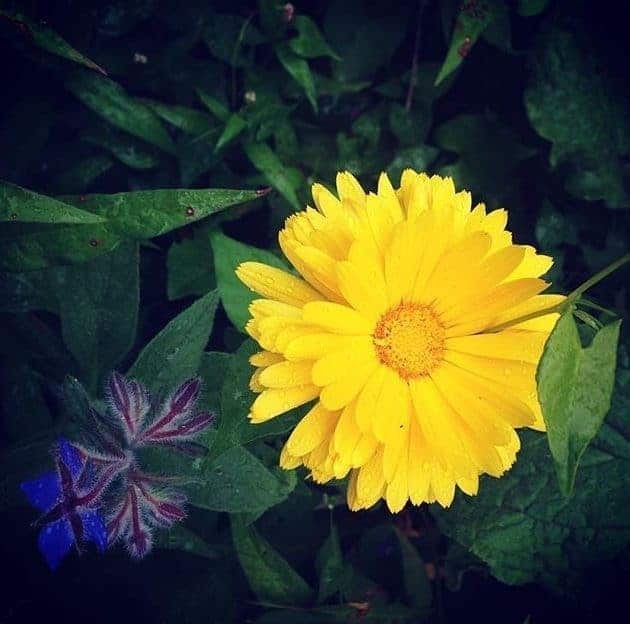 Calendula is one of my absolutely favorite flowering herbs to grow, it’s super easy and the more you pick the more it flowers. 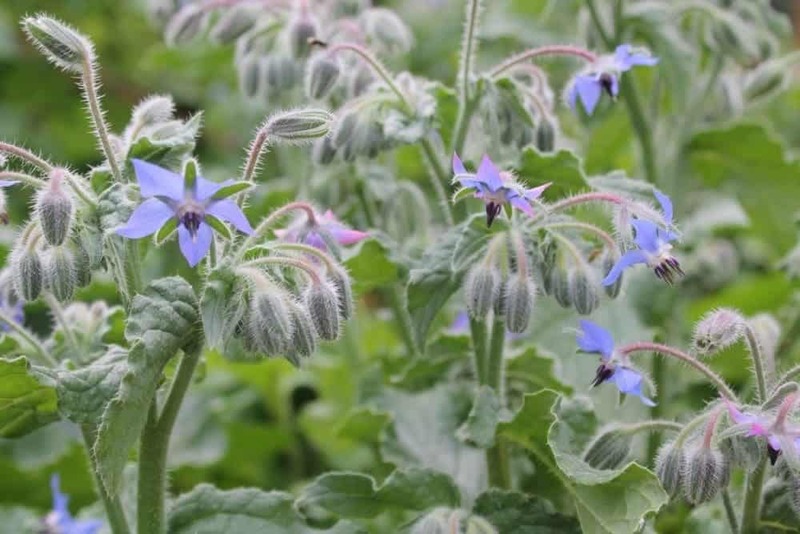 This cheerful flower will even flower in the fall after frosts, making it a long lasting garden herb. 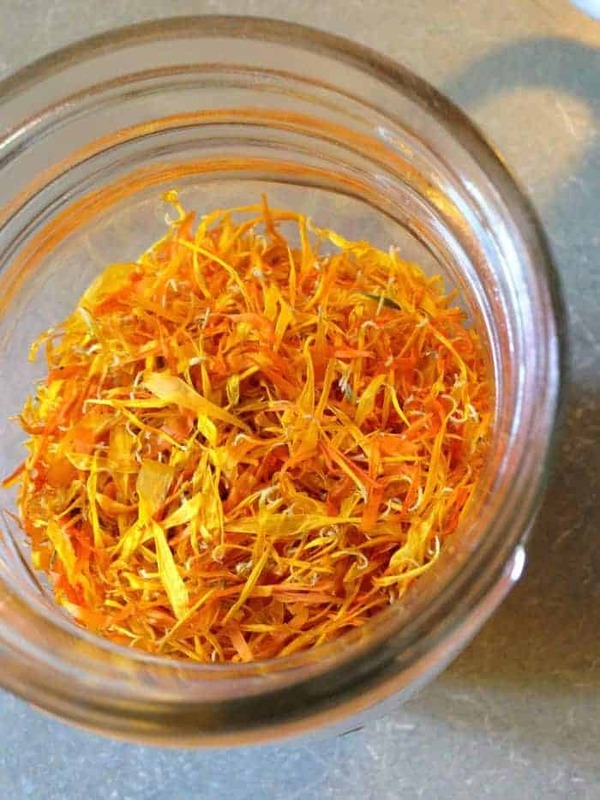 Every summer we harvest, dry calendula petals and make calendula oil to make salves and lotions. Calendula makes an excellent addition to a herbal remedies garden. 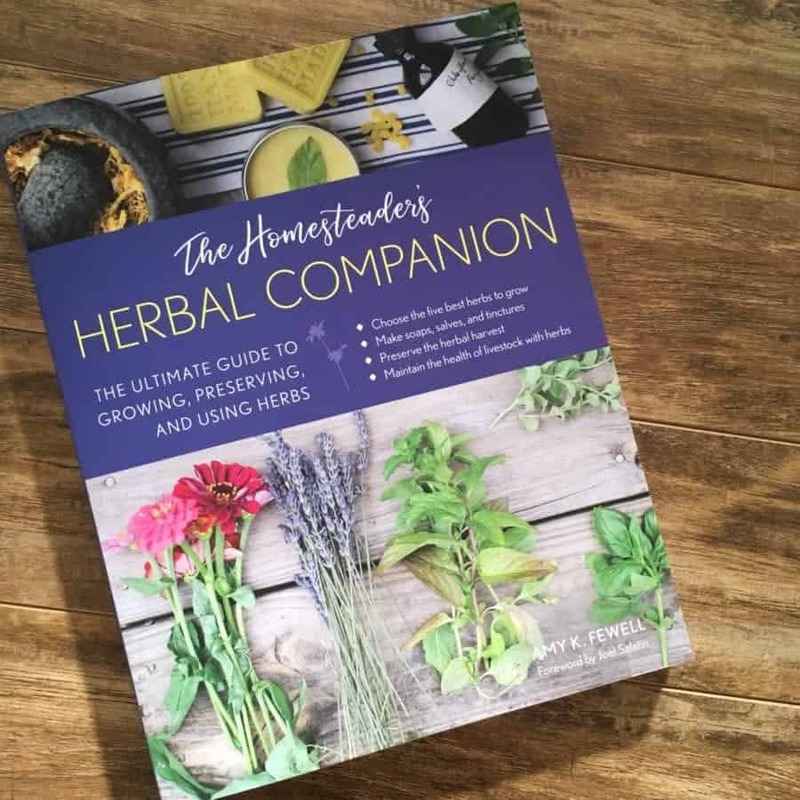 ‘The Homesteaders Herbal Companion’ book is a fantastic resource for selecting your herbs, growing a herb garden and making homemade herbal remedies. 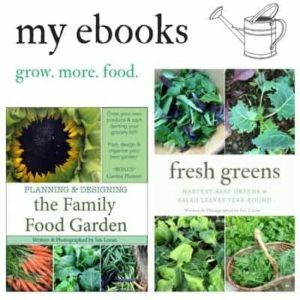 This inspiring book also offers recipes and tips for using herbs with farm animals, an important aspect of the homestead. 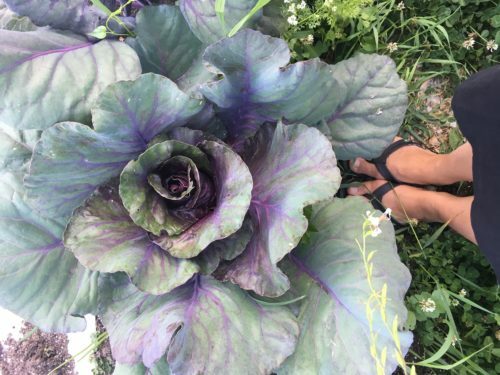 Amy Fewell walks you through the basics of herbalism from infusing your oils, drinking herbal tea, making tinctures, syrups, poultices and choosing the best herbs for your needs. I love that she’s also included many recipes with essential oils, and guides you through herb profiles including foraging for wild herbs to wildcraft. Some of my favorite recipes were the immune boosting lollipops made with elderberries and herbal gummies for our kids. I can’t wait to make the shaving cream recipe! 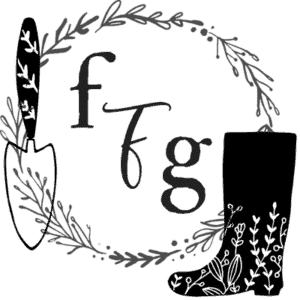 Amy Fewell covers everything from selecting your herb seeds, making your own herb seed potting mix, growing your herbs and even saving and storing your herb seeds. From soap making and herbal body care products to choosing herbs for chickens and treating your livestock parasites, this book has your homestead covered. This book should be on all homesteaders bookshelves, whether you’re an urban homesteader or rural. 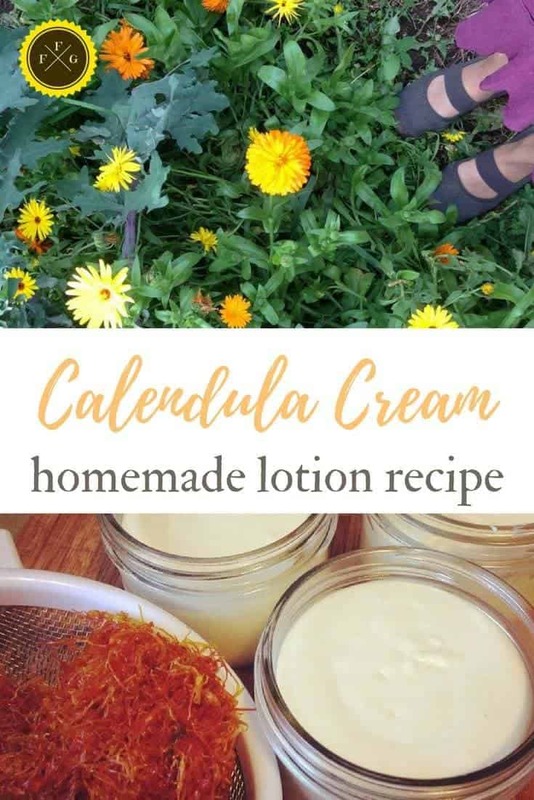 I adapted this calendula cream recipe from the basic lotion recipe in the Homesteaders Herbal Companion’ book. This is a slight variation to make a calendula cream lotion. You’ll want to infuse calendula oil for this recipe. but you can also buy calendula oil. 4 oz water, herbal tea, or hydrosol. You could steep calendula petals into a herbal tea. 15 drops of essential oils (optional). I only add 5 drops of lavender essential oils when making baby calendula cream. Place the jar in a small saucepan that has been filled with a couple of inches of water. Bring the water to a boil and melt the beeswax in the oil. Remove the jar from the pan and allow it to cool to room temperature. The wax will begin hardening, making the oil cloudy-looking. If you waited too long melt it down again. Stir the water, vitamin E and optional essential oils together in a separate container. Slowly add the water mix to the oil/beeswax mix while using an immersion blender to whip it to a thick and creamy consistency. Store in a closed container at room temperature for about two months. Longer if refrigerated. The first time I made this recipe I had a lot of calendula oil and make 3 batches. I kept it in the fridge for many months but we really didn’t need so much! 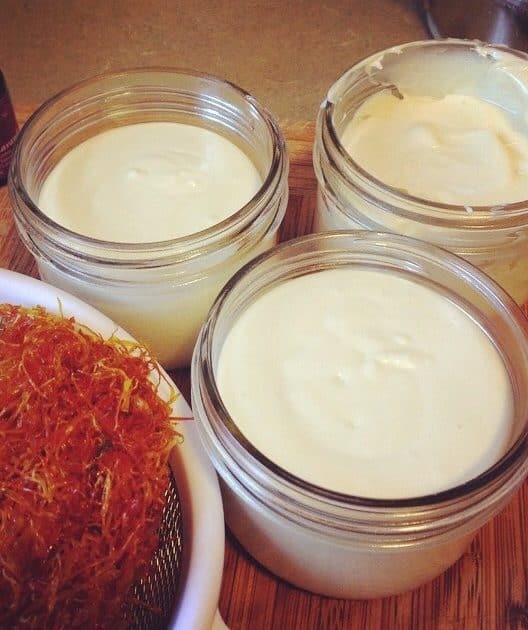 The cream will change consistency in the fridge and become harder. Hi! Is recipe supposed to be 1/2 pound beeswax? Unit is missing. Thanks. Sorry Cary! It’s supposed to be in oz. I’ve fixed it now, thank you for bringing that to my attention.